Hello again, sports fans. It’s been forever (since November 2014) that I posted anything here, and for those of you who may still be following this blog, I appreciate your patience. You’re probably wondering about the gratuitous use of a photo of the gorgeous and personable Kaley Cuoco at the top of this post. Well, first of all, the picture (and tag) may just get some of you to read my ramblings. Well, that and the “breathless anticipation” headline. More importantly, though, my chance viewing of Kaley in a brief snippet of a TV program I rarely get to watch, the Ellen DeGeneres Show, ultimately led to me making a beneficial change in my health and life. Seeing Kaley on an edition of the Ellen show featured here, I realized I had left at least one stone unturned in my quest for better breathing. After dialogues with various physicians, and a seemingly endless series of medical visits and tests and questions and questionnaires, I finally, in early June, had the surgery Kaley had talked about on Ellen: a surgical procedure to correct a deviated septum. In recovery, even through the anesthetic haze, I already felt better. Weeks later, although I’m still sniffly and finding out that “allergies don’t take a holiday for deviated septum surgery,” I’m breathing better and snoring is for the most part gone. Doctor, will I be able to play the piano after surgery? 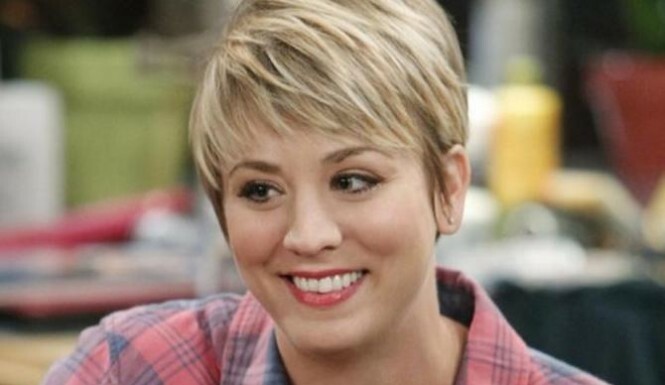 Will I look as gorgeous as Kaley (in a male way, to maintain decorum and also keep my Man Card) after surgery? Dr. Robert Jacobs, who did the surgery, and our family doctor, Dr. Jeff Newman, did not ask for plugs in this post and do not even know I’m blogging about this, but Dr. Jacobs and ENT Associates did a great job for me, and Dr. Newman and Cardinal Medical Center recommended Dr. Jacobs for this surgery. I enthusiastically endorse them both.